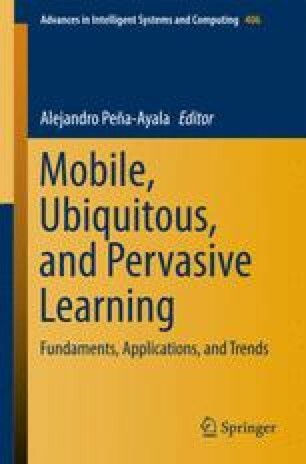 The continuous evolution of learning technologies combined with the changes within ubiquitous learning environments in which they operate result in dynamic and complex requirements that are challenging to meet. The fact that these systems evolve over time makes it difficult to adapt to the constant changing requirements. Existing approaches in the field of Technology Enhanced Learning (TEL) are generally not addressing those issues and they fail to adapt to those dynamic situations. In this chapter, we investigate the notion of an adaptive and adaptable architecture as a possible solution to address these challenges. We conduct a literature survey upon the state of the art and state of practice in this area. The outcomes of those efforts result in an initial model of a Domain-specific architecture to tackle the issues of adaptability and adaptiveness. To illustrate these ideas, we provide a number of scenarios where this architecture can be applied or is already applied. Our proposed approach serves as a foundation for addressing future ubiquitous learning applications where new technologies constantly emerge and new requirements evolve.